FORMER president Robert Mugabe's project to appoint former defence minister Sydney Sekeramayi as his successor failed due to an array of reasons: his lack of gravitas, weak support from the deposed veteran leader as well as from the Zanu-PF commissariat and critical party structures. Insiders said this week Sekeramayi proved to be a reluctant and weak candidate, as he appeared timid to provide leadership to the G40 faction which had coalesced around Mugabe and his wife Grace at the zenith of the Zanu-PF succession battle. After the May 2017 "Mexico Declaration", which heightened Mugabe's succession war within the splintered Zanu-PF, the G40 faction hastily formed a special committee led by the then party's political commissar Saviour Kasukuwere to introduce Sekeramayi across the country's 10 provinces as the veteran leader's preferred heir apparent. 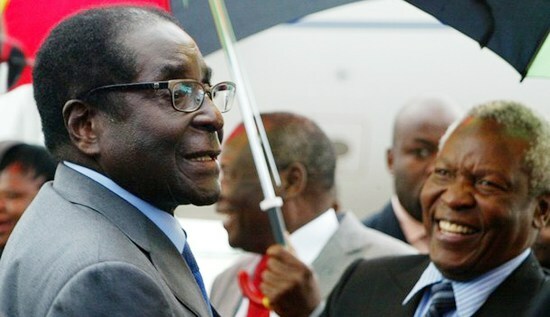 While on a visit to Mexico to attend the United Nations World Conference on Disaster Risk Reduction, Mugabe finally decided to take a decisive step to resolve the Zanu-PF succession squabbles by assigning Kasukuwere to lead the process to promote Sekeramayi as his successor ahead of his long-time ally and the then co-vice-president Emmerson Mnangagwa. Despite this development, insiders say Sekeramayi did not seize the initiative to assertively thrust himself in the public domain and at the forefront of Zanu-PF's politics as Mugabe's successor, except for two or three rallies where he languidly appeared to do so, was largely invisible and ineffective. "Even after the Mexico Declaration, Sekeramayi could not seize the moment and act like a prince who had just been anointed by a frail king to take over leadership. He appeared too timid and lacked charisma to capture the spirit and imagination of the public," an informed source said. "He failed to match his main rival's ambition and drive." Insiders say Mugabe's reluctance to show his hand too early stemmed from the fact that the party's congress, which was due to be held in December, appeared too distant, while prematurely doing so could have intensified military brinkmanship and intervention. During that time, Kasukuwere, who had survived a tide of protest as the party's political commissar mobilised by Mnangagwa's backers, was also weak and vulnerable, and thus could not effectively champion Sekeramayi's bid for the presidency. Kasukuwere, sources say, also viewed himself as representing the new crop of young leaders who could provide future leadership within Zanu-PF, hence his reluctance to back Sekeramayi. Sources said Grace - who had been kept in the dark about details of the Mexico Declaration - also did not push single-mindedly as she appeared later to harbour her own lofty ambitions to succeed her frail husband. However, after details of the Mexico Declaration were disclosed to her by Kasukuwere and Mugabe's nephew Patrick Zhuwao, Grace wavered between Sekeramayi and her own burning ambition which she had partly advanced through nationwide youth rallies which were ostensibly meant to drum up support for Mugabe ahead of Zanu-PF's congress. Insiders say after details of the Mexico Declaration were leaked to the Mnangagwa faction, reportedly by Mnangagwa's allies then Environment minister Oppah Muchinguri and Foreign Affairs minister Simbarashe Mumbengegwi, the military escalated manoeuvres that culminated in a full-scale coup leading to Mugabe's ouster last November. After the coup, the militarily crushed G40 faction devised a plan to resist Mugabe's ouster by forming the National Patriotic Front (NPF) which became led by former minister, legislator and Zipra liberation war commander Ambrose Mutinhiri. The party's founders and 39-member interim national executive committee met last week in Harare, amid chaos to prepare for its launch this month.